Angelcare is widely regarded as the UK’s best Baby Movement Monitor on the market and it’s with good reason. For over 20 years, Angelcare has perfected the art of movement detection, their award-winning Baby Monitors picking up baby’s every shuffle and wriggle to allow parent to relax. Over time, the range has developed to incorporate crystal clear sound and superb video, all the while maintaining a focus on movement detection. Perfect if parents already own a different brand of baby monitor but want to add in Movement monitoring for extra peace of mind now baby is here. The AC017 is ideal because it tracks the tiniest of movements and it will work with any other brand of baby monitor. 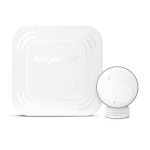 The Angelcare AC017 is also the best addition for parents who already own an Angelcare® Movement Monitor. The AC017 will complement the original monitor perfectly by adding Movement monitoring on the second mattress to your current setup. It’s particularly useful if you need to monitor twins or 2 little ones in the same room. The AC115 is available from Baby Brands Direct wholesale and includes the AC017 with sound monitor. 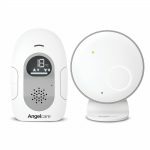 Parents looking for simplicity should look no further than the Angelcare® AC110 Baby Sound Monitor. Benefiting from decades of Angelcare® technological heritage, our AC110 delivers superb audio performance, perfect for anyone needing a caring ear listening out for baby. The AC110’s secure digital audio transmission relays even the tiniest of sounds, meaning you hear every snuffle and giggle in real time. The Nursery Unit displays a colour-coded room temperature ring, ideal for seeing at a glance where nursery conditions need changing. Add to that two-way talk back and parents have a stylish, crystal clear audio monitor that provides everything you could need. The AC115 is available from Baby Brands Direct wholesale and includes the AC110 with sensor mat. Adding video functionality is a must for many parents these days and Angelcare has it covered. 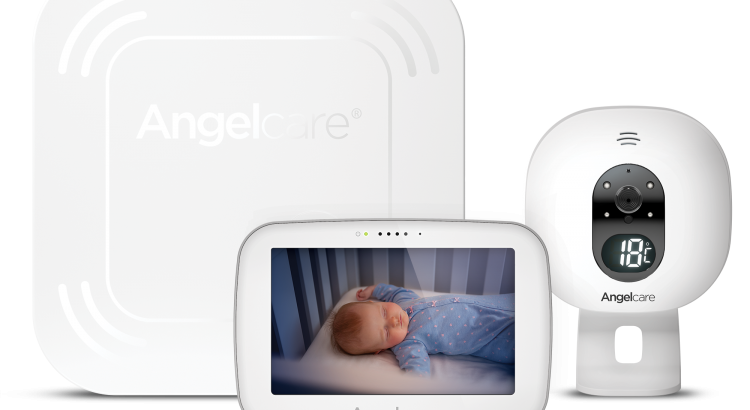 The Angelcare® AC510 Baby Video Monitor is a baby care essential. Fantastic video and sound display on the Parent Units large 5” display, ideal for watching over baby at a glance. Parents can relax during those dark hours because they’ll clearly see baby’s movements with infrared night vision. And if baby becomes unsettled during the night, the two-way talk back feature lets parents soothe and reassure baby until they can reach them. Watching over twins or baby and toddler is now even easier by adding a second Camera Unit, either with tabletop or wall mount options. A split screen view can be accessed on the Parent Unit meaning the AC510 is simply perfect for the growing family that wants to see their little ones in different rooms. Monitoring multiples just got even easier! The AC517 is available from Baby Brands Direct wholesale and includes the AC510 with sensor mat. Finally, Angelcare’s AC517 Baby Movement Monitor, with Video offers the ultimate peace of mind to parents. Using Angelcare®’s wireless movement technology, the AC517 has a Movement Sensor Pad which wirelessly monitors baby’s tiniest movements. Parents can rest assured knowing they will only be alerted if no movement is detected after 20 seconds. The Parent Unit benefits from a large 5’’ video display that also has infrared night vision, perfect for keeping an eye on baby day or night. A colour-coded room temperature display shows nursery conditions at a glance. Parents can take advantage of adding another 3 Camera Units, ideal for watching over multiple rooms and multiple babies. Ideal for newborns and little ones starting to reach and explore alike, the AC517 can also continue use into the toddler years by disabling the Movement Sensor Pad. Complete versatility in one Angelcare® baby monitor. Parents the world over love the peace of mind and reassurance Angelcare Baby Monitors offer. Their stylish design and thoughtful functionality put them at the forefront of baby movement monitoring. A select range of Angelcare Monitors alongside their other baby and nursery leading products in the bathing and hygiene category are available at trade price from multi award winning distributor Baby Brands Direct. Log into the wholesale portal to review prices and place orders with a quick dispatch service.